Hartlepool Neighbourhood Policing Team issues this photo of the drugs farm after it was uncovered in the town. A police search uncovered a house filled with more than 200 cannabis plants "ready for harvest." Hartlepool Neighbourhood Police Team say the find is: "yet another good result for Hartlepool Policing Team and more drugs off the streets" after the discovery worth thousands of pounds. Following information provided by the public a drugs warrant was executed in Tankerville Street, Hartlepool and officers from the Operational Support Unit. A spokesman for the team said: "Located at the address were in excess of 200 mature cannabis plants ready to be harvested to go onto the streets. "These plants would be worth thousands of pounds to the drug dealer, but are now destined for destruction and not into the hands of vulnerable people. "We would like to thank our community for providing us with support and information so we can tackle these drugs that bring so much misery." 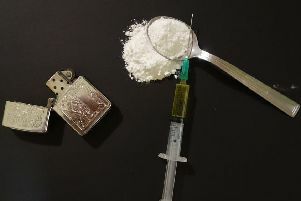 Anyone with information regarding drugs activity in their area is asked to contact Cleveland Police on 101 or Crimestoppers anonymously on 0800 555 111.